Ferntree Gully and District Cricket Association’s under-16 players proved to be the benchmark of Metropolitan Melbourne, ending the VMCU Carnival as Jim Beitzel Shield Premiers. Last Sunday’s decider at Schramms Reserve in Doncaster ended the campaign on a high in a professional performance against Eastern Cricket Association. Winning the toss and using the facilities first, FTGDCA got off to a great start with Olinda’s Jake Riordan leading the way at the top of the order with 57 after nearly two hours at the crease to help set up the innings at 3/92. Proving depth at the crease was not a concern, Upper Ferntree Gully’s Gregory Lord and St John’s Tecoma junior and Knox Gardens senior Ben Marget combined to finish off strongly, putting on 68 runs in the final 40 minutes of the innings to help FTGDCA to 4/178 from 45 overs. Both batsmen ended up on 44 not out, with Marget going at better than a run a ball. Knoxfield’s Luke Plumridge struck early to have the Eastern CA chase at 1/0, which then set the precedent of a restrictive effort with the ball and in the field. With the score at 3/34, the ever-increasing required run-rate saw a spate of run-outs from the Gully squad, with no less than four run-outs leaving the hosts reeling at 8/86 with wickets shared around the economical bowling scorecard. Olinda’s Jonty Scott was the only multiple wicket-taker with 2/16 from his six overs, with the opening Knoxfield pairing of Jake Simpson and Luke Plumridge being efficient in keeping runs to a minimum – Simpson sent down six overs for 0/7 including three maidens and Plumridge ended the day with 1/9 from his six overs, also including three maidens. The celebrations started shortly after, with the Eastern CA’s final wicket coming just shy of 37 overs, dismissing the hosts for 95. Riordan took home the Player of the Match medal. The successful squad, coached by Eildon Park’s Sean Woodward and managed by Greg Paroissien of Knoxfield, started with defeats against Inner South East and Eastern in narrow results, before a run of wins against North West Metro, Mornington Peninsular and Ringwood District ensured a finals appearance against the ladder-leading and undefeated Western Region. Setting 9/87 from their 30 overs as a target, FTGDCA booked their place in Sunday 20 January’s final, dismissing Western Region for 68 after another tight effort with the ball. Gregory Lord led the way with the bat across the campaign, scoring 231 runs across the carnival at 57.75 to be the competition’s lead run-scorer, while Jake Simpson’s 71 against Mornington Peninsular was the highest individual score. With the ball, Scott claimed 12 wickets at 9.17 from his seven matches, with FTGDCA represented as the leading wicket-taker through his efforts. Lord was voted by his premiership peers to be the Player of the Carnival, polling 14 votes from the matches. After an undefeated preliminary stage, the Phil Arnold Shield under-18 squad were defeated at the semi-final stage in their premiership defence against the eventual Premiers, Box Hill Reporter DCA. Wickets were hard to come by as BHRDCA posted 4/154, proving insurmountable on the day despite Lachlan Jansen’s 63 not out forming the majority of FTGDCA’s 105 in reply. St John’s Tecoma’s Andrew Wilson starred with his efforts with the ball, his competition-leading 14 wickets coming at an average of 11.00, including 5/32 against North West Metro, while Upwey’s Jansen scored 188 runs at 47 to lead the FTGDCA effort. Wilson was a runaway winner in the Player of the Carnival with 31 votes. FTGDCA was also present in the finals of the Russell Allen Shield, with the undefeated under-14s departing the competition at the quarter finals against West Gippsland by two wickets. Dismissed in trying conditions for 103, the WGCA passed the target late in the piece to finish 8/104, reversing the result from their round one encounter. Tyler Hoffman provided the team with 182 runs from his six matches at 45.50 – an effort which led his team mates to vote him Player of the Carnival. With the ball, Lysterfield’s Ben Leehane claimed nine wickets to lead the FTGDCA effort. Likewise, the Keith Mitchell Shield under-12 squad reached the quarter finals before a strong showing from Box Hill Reporter DCA ended the FTGDCA campaign early. The squad made their appearance with a 3-2 record across the preliminary matches, before Box Hill’s 144 proved too much on the day, FTGDCA finishing at 8/113. Rowville’s Nisith Amarasinghe scored 142 runs at 35.50 while also being leading wicket-taker with six wickets at 18.50 to take out the Player of the Carnival. A tight competition saw the Keith Mackay Shield team miss out on finals, with the under-16s team winning the opening two matches before the competition caught up. Mountain Gate’s Mitch Tucker provided one of the highlights, claiming 6/9 from just three overs against Diamond Valley. Knoxfield’s Lachlan Saunders-Emerson (Player of the Carnival) scored 141 runs at 23.50, while Tucker’s nine wickets led the way at an average of 6.33. In the Des Nolan Under-14 Cup, FTGDCA encountered some strong competitions, finishing the campaign working hard. Their West Gippsland victory was a highlight. Michael Taylor of Mazenod scored 92 runs at 18.40, while Andrew Gordon did South Belgrave proud, leading the way with seven wickets at 9.57. Belgrave’s Felix Wallis-Carnie was presented as the Player of the Carnival after polling 17 votes. The Josh Browne Plate took on extra significance this season with the passing of the Junior Cricket legend. While results did not go their way, the team fought hard and proud. 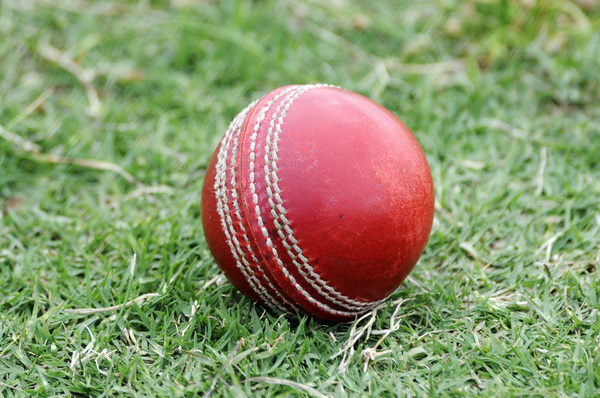 Michael Farrand of South Belgrave reached 70 runs across the carnival, while Eildon Park’s Zack Linton claimed six wickets as the leading FTGDCA bowler. Upwey’s Oskar Taylor led the way overall, his teammates selecting him as their Player of the Carnival with 21 votes. In the girls’ Claudia Fatone Under-12 Shield, a hard draw did not help a young FTGDCA team who came up against last year’s Premiers and runner’s up in the three-match preliminary rounds. Mountain Gate’s Lola Allain (Player of the Carnival) was the lead run-scorer with 30 runs, while four wickets to Eildon Park’s Ava Rebeiro saw her finish the campaign as leading wicket-taker.